IDW Publishing will launch a four issue miniseries based on Netflix’s GLOW series in March. The Hollywood Reporter is reporting the series will be written by Tini Howard (WQWE, Euthanauts), with art by Hannah Templer (Jem and the Holograms: Dimensions); and supervision by the show’s co-creators, Liz Flahive and Carly Mensch. 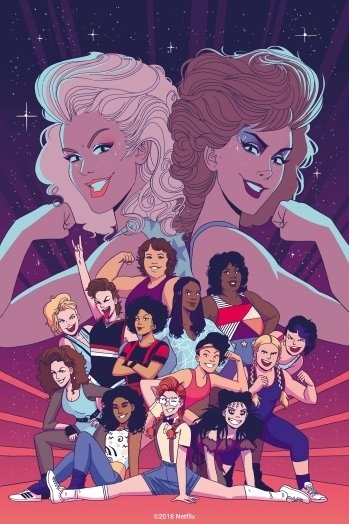 The series will see Ruth, Debbie, and the other cast members of GLOW accidentally roped into a charity wrestling match against actual lady wrestlers! 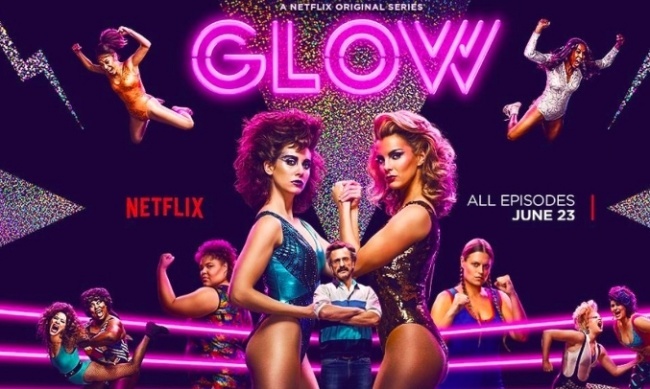 The popular GLOW (Gorgeous Ladies of Wrestling) Netflix series was inspired by the Gorgeous Ladies of Wrestling TV series that ran in syndication in the 1980s. Set in 1985, the dramedy follows the behind the scenes lives of the actress – athletes who participate in the scripted wrestling drama. The show was created by Flahive and Mensch, who executive produce along with Jenji Kohan (Orange Is the New Black). The second season launched this summer, and the show has been renewed for a third season, which will shift the drama from Hollywood to Las Vegas.